Springtime in Chapel Hill is synonymous with study sessions on the quad, Carolina blue Saturdays spent watching baseball at Boshamer Stadium and the undeniable reminder that Chapel Hill is a great college town. No need to take our word for it though. 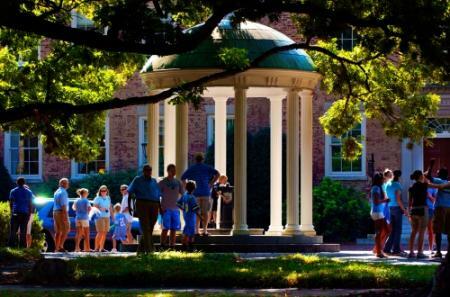 Best College Reviews ranked Chapel Hill the seventh best college town in America – citing the great weather, award-winning food and infectious collegiate atmosphere. 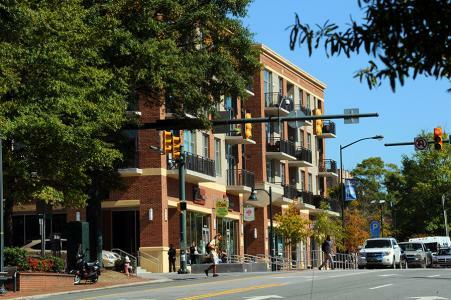 If that isn’t enough, Forbes also ranked Chapel Hill the No. 3 Best College Town. 1. 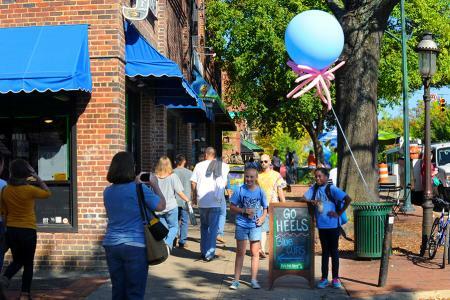 It can be hard to tell where the university ends and the town begins… Chapel Hill residents and UNC students alike bleed Carolina blue and have undeniable ties to the school. So whether you’re lucky enough to be a current student at the school or simply a Chapel Hill resident, we’re all tied together with the common blue thread. Need proof? Even our fire trucks are blue! 2. We celebrate together… Whether we’re celebrating a Carolina victory by rushing Franklin Street or just cheering the end of a long week at Fridays on the Porch at the Carolina Inn, the town and university love to get together for joyous occasions. It’s rare that a week goes by without a reason to celebrate! 3. It’s the college campus you thought only existed in movies… The Georgian architecture, hundred year-old trees and Kenan Stadium are just a few sights that make Chapel Hill’s campus among the most beautiful in the nation. 4. We welcome the freshman 15 after taking in all the food the town has to offer… There’s a good reason that Bon Appetit magazine named Chapel Hill “America’s Foodiest Small Town.” From whole hog barbecue to Asian fusion and everything in between, Tar Heels never go hungry. And many Franklin Street restaurants cater to students by staying open late, meaning tacos and cookies are options well past midnight. 5. We’re more than basketball… Carolina’s championship men’s basketball team has put the town on the map, but the University is home to national champions in men and women’s tennis, soccer, field hockey and more. No matter what sport you enjoy, there’s a chance to cheer on the Tar Heels almost every day of the week! 6. Don’t be surprised by celebrity sightings… Basketball legend Michael Jordan and President James K. Polk are just a few of the famous alumni who called Chapel Hill home for four years. Don’t be surprised if you spot a celebrity while walking on campus! 7. We walk the walk… No need to travel far to enjoy all the sights and sounds of campus. Students get around easily by walking or hopping on a bicycle – meaning your next great Chapel Hill adventure is never too far away! 8. Our location (and climate) are ideal… Long weekend at the beach? Spring break camping trip in the mountains? 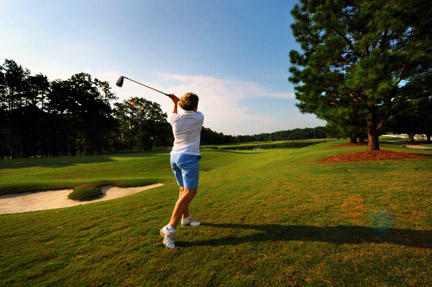 Chapel Hill is ideally located in the center of North Carolina, meaning the state’s best vacation spots are only a few hours away. And when your class load is too much for a weekend getaway, the town’s many restaurant patios offer a mini-escape from it all.